Sir Nigel Barnard Hawthorne CBE (5 April 1929 – 26 December 2001) was an English actor. He portrayed Sir Humphrey Appleby, the Permanent Secretary in the 1980s sitcom Yes Minister and the Cabinet Secretary in its sequel, Yes, Prime Minister. For this role, he won four BAFTA TV Awards for Best Light Entertainment Performance. He won the BAFTA Award for Best Actor in a Leading Role and was nominated for the Academy Award for Best Actor for portraying King George III in The Madness of King George (1994). He later won the BAFTA TV Award for Best Actor, for the 1996 series The Fragile Heart. He was also an Olivier Award and Tony Award winner for his work in theatre. Hawthorne was born in Coventry, Warwickshire, England, the second of four children of Agnes Rosemary (née Rice) and Charles Barnard Hawthorne, a physician. When Nigel was three years old, the family moved to Cape Town, South Africa, where his father had bought a practice. Initially they lived in the Gardens and then moved to a newly built house near Camps Bay. He was educated at St George's Grammar School, Cape Town and, when the family moved, the now defunct Christian Brothers College, where he played on the rugby team. He described his time at the latter as not being a particularly happy experience. He enrolled at the University of Cape Town, where he met and sometimes acted in plays with Theo Aronson, later a well-known biographer, but withdrew and returned to the United Kingdom in the 1950s to pursue a career in acting. Hawthorne made his professional stage debut in 1950, playing Archie Fellows in a Cape Town production of The Shop at Sly Corner. He made his Broadway debut in 1974 in As You Like It. He returned to the New York stage in 1990 in Shadowlands and won the 1991 Tony Award for Best Actor in a Play. In a long and varied career in film, which began with an advertisement for Mackeson Stout and smaller roles in various British television series since the late 1950s, his most famous roles were as Sir Humphrey Appleby, the Permanent Secretary of the fictional Department of Administrative Affairs in the television series Yes Minister (and Cabinet Secretary in its sequel, Yes, Prime Minister), for which he won four BAFTA awards during the 1980s, and as King George III in Alan Bennett's stage play The Madness of George III (for which he won a Best Actor Olivier Award) and the film version entitled The Madness of King George, for which he received an Academy Award nomination for Best Actor and won the BAFTA Film Award for Best Actor. He won a sixth BAFTA for the 1996 TV mini-series The Fragile Heart. Hawthorne was also a voice actor, and lent his voice to two Disney films: Fflewddur Fflam in The Black Cauldron (1985), and Professor Porter in Tarzan (1999). An intensely private person, he was upset at having been involuntarily outed as gay in 1995 in the publicity surrounding the Academy Awards, but he did attend the ceremony with his long-time partner Trevor Bentham, speaking openly about being gay in interviews and his autobiography, Straight Face, which was published posthumously. They met in 1968 when Bentham was stage-managing the Royal Court Theatre. From 1979 until Hawthorne's death in 2001, they lived together in Radwell near Baldock and latterly at Thundridge, both in Hertfordshire, England. The two of them became fund raisers for the North Hertfordshire hospice and other local charities. Hawthorne had several operations for pancreatic cancer, although his immediate cause of death was from a heart attack, aged 72. He was survived by Bentham, and his funeral service was held at St Mary's, the Parish Church of Thundridge near Ware, Hertfordshire, following which he was cremated at Stevenage Crematorium. His funeral was attended by Derek Fowlds, Maureen Lipman, Charles Dance, Loretta Swit and Frederick Forsyth along with friends and local people. The service was led by the Right Reverend Christopher Herbert, the Bishop of St Albans. The coffin had a wreath of white lilies and orchids and Bentham was one of the pallbearers. On hearing of Hawthorne's death, Alan Bennett described him in his diary, "Courteous, grand, a man of the world and superb at what he did, with his technique never so obvious as to become familiar as, say, Olivier's did or Alec Guinness's." He was appointed a Commander of the Order of the British Empire (CBE) in the 1987 New Year Honours, and was knighted in the 1999 New Year Honours. 1957 Bonehead Bit Part Episode: "Pilot"
1957 Huntingtower Sinister man Episode: "#1.3"
1962 The Last Man Out Gestapo Man Episode: "The Way Out"
1963 Man of the World Assistant director Episode: "The Bandit"
1963 Bud Trefor Jones Episode: "#1.5"
1964 Detective Temple Doorkeeper Episode: "Death in Ecstacy"
1964 Emergency-Ward 10 Colin Davies Episode: "#1.769"
1965 Jury Room David Hemming - Jurror Episode: "The Dilke Affair"
1969 The Gnomes of Dulwich Gnome Episode: "#1.6"
1969 Dad's Army the Angry Man Episode: "The Armoured Might of Lance Corporal Jones"
1971 The Last of the Baskets Mr. Snodgrass Episode: "For Richer, for Poorer"
1971 Hine Freddy Ambercourt Episode: "Everything I Am I Owe"
1976 Bill Brand Browning Television Miniseries; Episode: "Yarn"
1977 Crown Court Dr. William Ranford Episode: "Beauty and the Beast (Part 1)"
1977 Just William Mr. Croombe Episode: "The Great Detective"
1978 Breakaway Girls Derek Carter Episode: "Sarah Carter"
1978 Going Straight Worm Wellings Episode: "Going Going Gone"
1978 Holocaust Ohldendorf Television Miniseries; Episode: "Part 2"
1979 Thomas and Sarah Wilson Episode: "The New Rich"
1979 The Other Side Skellow Episode: "Underdog"
1980 The Good Companions Reverend Chillingford Television Miniseries; Episode: "Miss Trant Pays the Bill"
1981 Tales of the Unexpected Charles Drummond Episode: "The Last Bottle in the World"
1989 The Play on One John Episode: "The Shawl"
^ Staff (26 December 2001). "Actor Sir Nigel Hawthorne dies". The Guardian. ISSN 0261-3077. Retrieved 17 October 2017. ^ Payne, Stewart (27 December 2001). 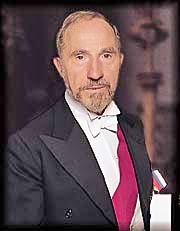 "Sir Nigel Hawthorne dies of heart attack aged 72". The Daily Telegraph. Retrieved 24 November 2012. ^ Wilson, Scott. Resting Places: The Burial Sites of More Than 14,000 Famous Persons, 3d ed. : 2 (Kindle Locations 20441-20442). McFarland & Company, Inc., Publishers. Kindle Edition. ^ Alan Bennett, Untold Stories (Faber & Faber, London, 2005), at page 302. Wikimedia Commons has media related to Nigel Hawthorne. Alan Bennett is an English playwright, screenwriter, actor, and author. He was born in Leeds and attended Oxford University, where he studied history and performed with the Oxford Revue. He stayed to teach and research medieval history at the university for several years. His collaboration as writer and performer with Dudley Moore, Jonathan Miller and Peter Cook in the satirical revue Beyond the Fringe at the 1960 Edinburgh Festival brought him instant fame. He gave up academia, and turned to writing full-time, his first stage play Forty Years On being produced in 1968. 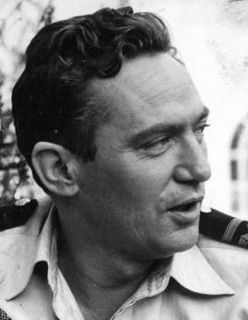 Frederick George Peter Ingle Finch was an English-Australian actor. He is best remembered for his role as crazed television anchorman Howard Beale in the film Network, which earned him a posthumous Academy Award for Best Actor, his fifth Best Actor award from the British Academy of Film and Television Arts, and a Best Actor award from the Golden Globes. Sir Ian Holm Cuthbert, known as Ian Holm, is an English actor known for his stage work and many film roles. He received the 1967 Tony Award for Best Featured Actor for his performance as Lenny in The Homecoming and the 1998 Laurence Olivier Award for Best Actor for his performance in the title role of King Lear. He won the 1981 BAFTA Award for Best Actor in a Supporting Role for his role as athletics trainer Sam Mussabini in Chariots of Fire, for which he was also nominated for an Academy Award. Stephen David Daldry, CBE is an English director and producer of film, theatre, and television. He has won three Olivier Awards for his work in the West End and two Tony Awards for his work on Broadway. He has directed several feature films that have been nominated for Best Director and/or Best Picture at the Academy Awards. These films are Billy Elliot (2000), The Hours (2002), The Reader (2008) and Extremely Loud & Incredibly Close (2011). From 2016 to 2019, he produced and directed Netflix television series The Crown, for which he received two Primetime Emmy Award nominations and one win for Outstanding Directing for a Drama Series and Outstanding Drama Series. Daldry joined an elite group of directors by receiving nominations for direction in theatre, television and film. Derek Fowlds is an English actor, best known for playing Bernard Woolley in popular British television comedies Yes Minister and Yes Prime Minister, and Oscar Blaketon in the long-running ITV police drama Heartbeat, a role he played for 18 years. Sir Humphrey Appleby, GCB, KBE, MVO, MA (Oxon), is a fictional character from the British television series Yes Minister and Yes Prime Minister. He was played originally by Sir Nigel Hawthorne, both on stage and in a television adaptation of the stage show by Henry Goodman in a new series of Yes, Prime Minister. In Yes Minister, he is the Permanent Secretary for the Department of Administrative Affairs. In the last episode of Yes Minister, "Party Games", he becomes Cabinet Secretary, the most powerful position in the service and one he retains during Yes, Prime Minister. Hawthorne's portrayal won the BAFTA Award for Best Light Entertainment Performance four times: 1981, 1982, 1986 and 1987. Timothy Peter Pigott-Smith, was an English film and television actor and author. He was best known for his leading role as Ronald Merrick in the television drama series The Jewel in the Crown, for which he won the British Academy Television Award for Best Actor in 1985. Other noted TV roles included roles in The Chief, Midsomer Murders, The Vice, The Suspicions of Mr Whicher, King Charles III and two Doctor Who stories. Pigott-Smith appeared in many notable films including: Clash of the Titans (1981), Gangs of New York (2002), Johnny English (2003), Alexander (2004), V for Vendetta (2005), Quantum of Solace (2008), Red 2 (2013) and Jupiter Ascending (2015). Peter Cellier is an English actor who has appeared in film, stage and television. He is known for his role as Sir Frank Gordon in Yes Minister and then Yes, Prime Minister in the 1980s. The Madness of George III is a 1991 play by Alan Bennett. It is a fictionalised biographical study of the latter half of the reign of George III of the United Kingdom, his battle with mental illness, and the inability of his court to handle his condition. It was adapted for film in 1994 as The Madness of King George. Radwell is a village and civil parish in Hertfordshire, England. It is situated close to the A1 a little to the north of Baldock and Letchworth Garden City and is in the district of North Hertfordshire.